Make custom stickers for your laptop, car window or any other flat, nonporous surface! 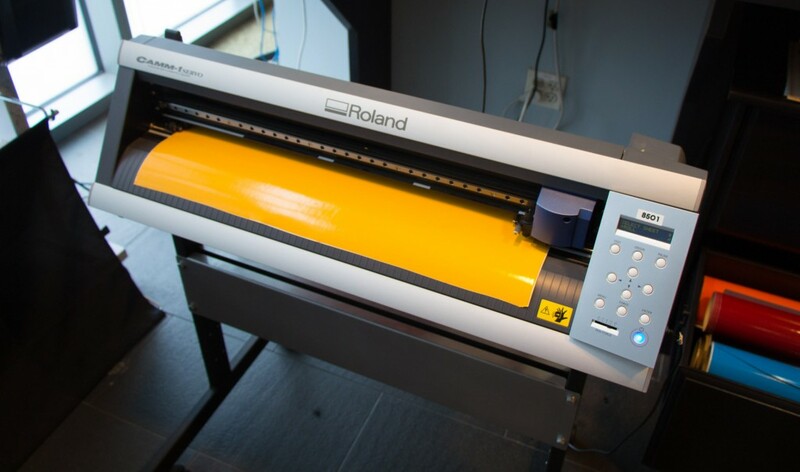 Although not technically a printer, the DMC’s new vinyl cutter enables you to use vector-based drawings to create single color, plastic stickers. 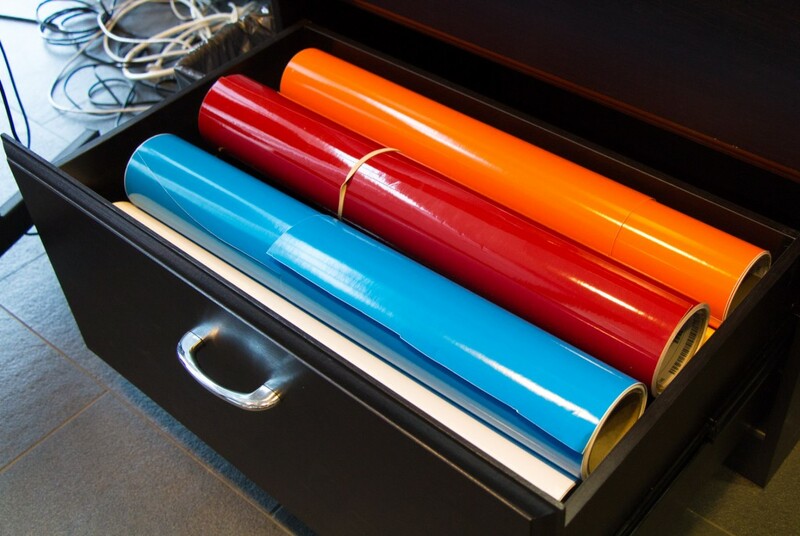 Vinyl rolls are 24″ wide. All pieces of vinyl are sold in variable lengths at 24″ wide. *This is not square feet. The staff member on duty will measure off how many linear feet of 2′ wide roll that you need and use that number to calculate the cost. Our rolls are 2 feet wide, so for example, 1 linear foot of roll would also be 2 feet wide, and cost $2. A length of 3 linear feet would also be 2 feet wide, and cost $6. 1) Get authorized by a DMC staffer to use the vinyl cutter. 2) Design and save a vector file using Adobe Illustrator CS6 (we do not yet have a plugin for CC). 3) Reserve or check out the vinyl cutter in WebCheckout. 5) Login to the printing and cutting station in the front bay and open your file in Illustrator CS6. 7) Turn off the cutter, use tools (located in front bay) to remove the excess vinyl (negative space in the design), and covers the remaining vinyl with transfer paper. 8) Apply the vinyl to your target surface (laptop, water bottle, wall, etc..). 9) See DMC front desk to “return” your vinyl cutter checkout and the transfer paper roll. Check out the DMC Help Wiki for more info on getting authorized and how to use the vinyl cutter.